Editorial note: On [July] 22 the director's board of Canada's Nexen Oil Company proclaimed having approved the purchase of 66% of [Nexen] shares by China's General Maritime Oil Company for a price of 15.1 billion US $. Canada's television station CTV says if the purchase succeeded, this would mean the Asian company's most significant incorporated buying action in Canada up to now. It would be as well the biggest purchase abroad at one stroke for China's industry of energy resources. Why, after seven years [...], is China's Maritime Oil buying Nexen for another time ? Is there any far-reaching significance in it ? State-owned CNOOC is China’s largest offshore oil company. The deal will give it ownership of oil and gas reserves in western Canada, the U.K. North Sea, the Gulf of Mexico and offshore Nigeria. In 2012, approximately 70% of Nexen’s output is expected to come from offshore fields, according to Nexen’s website, making it a good fit for the Chinese company’s offshore fields. 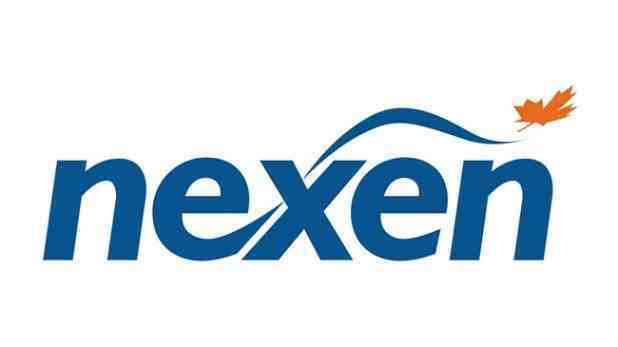 In 2011, Nexen produced around 207,000 barrels a day of oil equivalent. Nexen, which describes itself as a major player in Canada’s oil sands sector, is also a producer of shale gas, in northeastern British Columbia. In a statement on the Hong Kong stock exchange, CNOOC said it will fund the deal through existing cash resources and external financing. Nexen’s current debt of around $4.3 billion will remain outstanding, CNOOC said. If the deal is approved by Nexen shareholders, Nexen will become a wholly owned subsidiary of CNOOC, the statement said. Now it is clear that China's state-run company already owns 33% of Nexen shares. Therefore it is no "second purchase" of the same company but a completion of a gigantic business coup that gives China control over very many oil drilling sites distributed all over the world ! Subject of discussion in today's broadcast "Behind the News ماوراء الخبر" from Al-Jazeera, Arabic service, is the application of both candidates in the coming presidential elections to come to terms with Israel. What is named "act" in the following translation because of missing precision in the original text is referring to Obama's signature of the new "U.S.-Israel Enhanced Security Act" the day before and which means more money for Israel's military. Obama's signature and Romney's visit to Israel should therefore be seen in the light of gaining votes from an influential Jewish community in the U.S.A. as represented by groups like the conservative "Christians United for Israel". Obama already gave [his] signature the day before his competitor in the [coming] elections, Mitt Romney, [began] his visit to Israel. Observers are [considering a] connection between the signature of [the act *] and the near date of elections where Obama is striving for the success of a second period [as a president]. Observers: Obama's signature of [the act *] and Romney's visit to Israel are reflecting their application to benefit from Jewish votes. Mitt Romney reached the confirmation of the Republicans to confront Obama in the presidential elections to come. 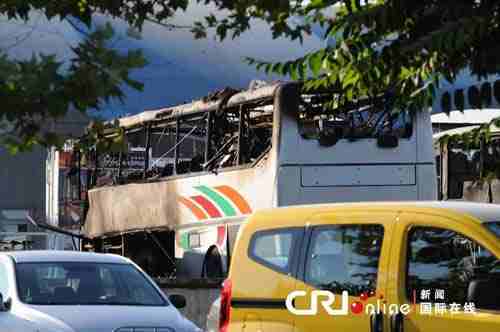 Barack Obama: The new act [*] is reflecting the persistent [actualization] for Israel's security. The act [*] allows Israel to obtain further weapons and U.S. [reserves]. U.S. President Barack Obama [concentrates] on the act [*] supporting military cooperation with Israel. On July 28, 2012, we enjoyed an academic highlight at Ludwig-Maximilian's University in Munich, Germany. It was a public lecture on how modern string theory can be applied in the description of elementary particles and their behaviour in the frame of latest experiments carried out at the Large Hadron Collider LHC site of CERN, Geneva. At the end of an international symposium, two top referents from the front of either theoretical or experimental research provided an intelligible introduction into that difficult subject, thereby facing a numerous audience comprising all ages. It must be noted that almost every listener remained on his seat up to the last second, even though it was a difficult subject to learn about and the day was hot and sultry. Prof. Rolf-Dieter Heuer, Director General of CERN in Geneva, Switzerland, spoke about "The 'World Machine' LHC at CERN - Insights into an Early Universe" in German. Later, theoretical physicist Prof. Edward Witten from the Institute for Advanced Study at Princeton University held his lecture on "String Theory And The Universe" in English. 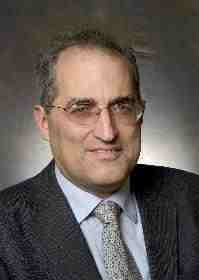 Prof. Edward Witten, Princeton University, U.S.A. The subject will be dealt with some time later in a special webpage. For a first approach to elementary particle physics, I recommend another blogspot of mine on the discovery of a particle suspected to be the Higgs boson. Visitor access point to "blueprint news" related to the recommended link above. That visitor came today and has been identified as being from CERN. His or her position is near Annecy where the LHC should be located. Shelling of Al-Rastan by government troops (left) and traces of fighting in Derisur (right). Doctor in a hospital treating rebel fighters (left) and rebel camp in Idlib (right). Different Western sources: Israel is threatening the Assad regime to resort to military action if biological and chemical weapons are being transferred to Hezbollah. Israel's minister of foreign affairs Liberman confirmed his country's position on an annual meeting of the European-Israeli contact group in Brussels. Tens wounded after troops of the regime enter the prison of Homs. 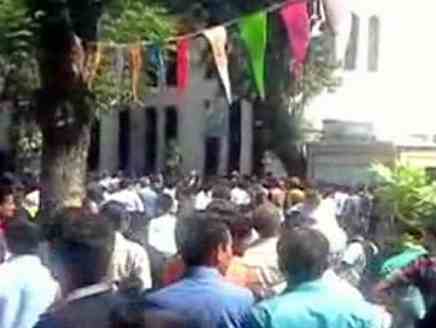 New massacre in a prison, [fallen into] the hands of the regime, produced a death rate of 15 prisoners. The Liberation Army accuses Assad of moving a chemical weapon to the border. America's president is warning the Syrian regime on the consequences of using chemical weapons while Paris is considering the possibility of own consequences. [On-the-spot] executions in [the outskirts] of Damascus as blows of revenge. 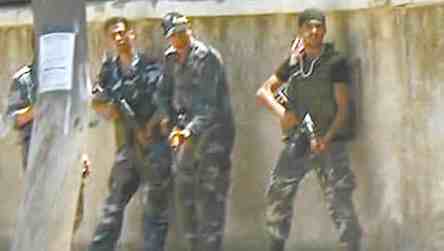 Armed Lebanese [in different places] are seizing Syrians for an exchange. Above: Omar Khashram reporting from the passway to the Portal of Peace that is leading to the border between Syria and Turkey. Above: Qatar's PM and Foreign Minister, as a spokesman for the Arabic Nations he is offering Assad a safe retreat from power. 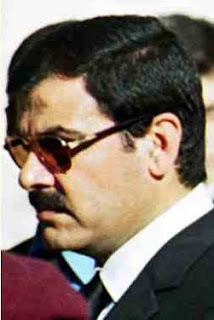 According to latest news from Al-Jazeera at 12:00 GMT, the Syrian defence minister Daoud Rajha (above) should have been killed and several other senior security officials wounded after a suicide bomber struck the National Security building in Damascus during a meeting of cabinet ministers and senior security officials. On July 19, People's Network, Beijing, published that Syria's vice minister for defence (below) was deadly wounded as well in the attack that took place not far from PR China's embassy in Damascus. Syrian army at the bombing site (above). Abu Hamza, one of those in the Free Syrian Army. Abu Hamza who [originally came from] the Syrian army said that the rebels [have expanded] for the mobilization of those among the people willing to cooperate in organized fighting in order to realize attacks. And the rebels have already gained some success in that field. Latest UPDATE for July 9 further down ! The newly elected President of Egypt, Mohammad Morsy, recalled parliament after it had been dismissed by Egypt's Military Council. 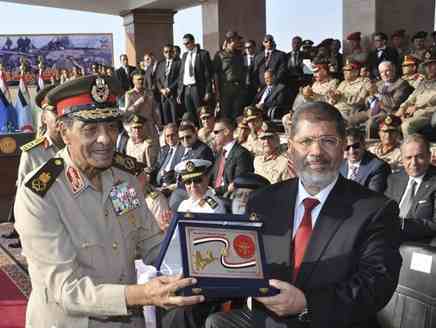 The military had acted immediately after Egypt's highest court had invalidated the parliamentary elections held in June. The first freely elected parliament in Egypt would have provided a sound basis of power for the new president. Morsy's decision is [to take away] legislative power from the military, his demand implying a return [of the troops] to their quarters [until] July 15. 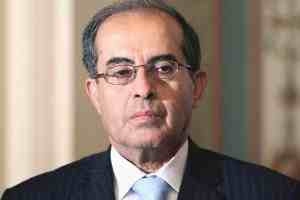 The constitutional [court] will decide on the matter of opposing Morsy's resolution to recall parliament. The court found [accusations] against Morsy's resolution to recall parliament for [another] session. The court will examine these [accusations] and [classify] them. The court is not [taking sides] in any political conflicts. Announcement on German TV (above).
" A major breakthrough in particle physics came in the 1970s when physicists realized that there are very close ties between two of the four fundamental forces – namely, the weak force and the electromagnetic force. The two forces can be described within the same theory, which forms the basis of the Standard Model. This ‘unification’ implies that electricity, magnetism, light and some types of radioactivity are all manifestations of a single underlying force called, unsurprisingly, the electroweak force. But in order for this unification to work mathematically, it requires that the force-carrying particles have no mass. We know from experiments that this is not true, so physicists Peter Higgs, Robert Brout and François Englert came up with a solution to solve this conundrum. This idea provided a satisfactory solution and fitted well with established theories and phenomena. The problem is that no one has ever observed the Higgs boson in an experiment to confirm the theory. Finding this particle would give an insight into why particles have certain mass, and help to develop subsequent physics. The technical problem is that we do not know the mass of the Higgs boson itself, which makes it more difficult to identify. Physicists have to look for it by systematically searching a range of mass within which it is predicted to exist. The yet unexplored range is accessible using the Large Hadron Collider, which will determine the existence of the Higgs boson. If it turns out that we cannot find it, this will leave the field wide open for physicists to develop a completely new theory to explain the origin of particle mass. " On the contrary, if the Higgs particle is found as it seems to be by now, this will imply the confirmation of an already found theory and light the way to further experiments and discoveries on the functioning of our universe. By the way, I heard about today's press conference in Geneva some days before when I visited Max-Planck-Institute of Physics (Werner-Heisenberg-Institut) in Munich. On a visitor's day dedicated to quantum mechanics and astrophysics they already gave some cryptic hints about new discoveries to be awaited in the immediate future. It was then for me to wait only some days for the announcement. - An inner detector that measures the momentum of charged particles. - A calorimeter unit for the measurement of energies carried by particles. - A Muon spectrometer that identifies and measures the momenta of Muons. - A magnet system bends charged particles for momentum measurement. The solenoid magnet surrounds the inner detector. Arrows point to toroid magnets. The ATLAS detector can be used not only to detect the Higgs boson but as well to enlighten the relation between matter and antimatter and to find possible constituents of dark matter. ATLAS detector under construction (above). Accelerating circle for charged elementary particles and detector positions. Because of the Higgs boson being a very massive particle and which decays almost immediately when created, only a very high energy particle accelerator can observe and record it. 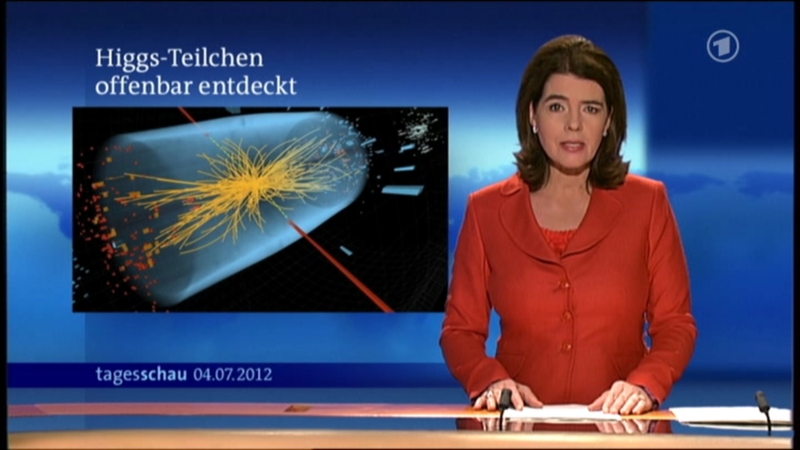 That's why the LHC is being used. Its special feature is the ability to collide protons being accelerated to a speed not too far away from the speed of light. Under such circumstances, a "zoo" of elementary particles can be created and rarely observed events might be detected. It was the idea that, with some luck, even the predicted Higgs particle could be observed. As to that, latest measuring results are giving rise to great hopes. According to detailed information, measuring data have been compared from two separate main detectors of the LHC facility: The ATLAS detector and the CMS device which is an electromagnetic crystal calorimeter (=> refer to the above illustration). Both experiments are proving the existence of a very massive particle regarded as the Higgs boson or something very near to it. Above: A typical candidate event for the possible formation of Higgs bosons including two high-energy photons whose energy (depicted by red towers) is measured in the CMS electromagnetic calorimeter. The yellow lines are the measured tracks of other particles produced in the collision of protons. The pale blue volume shows the CMS crystal calorimeter barrel.
" 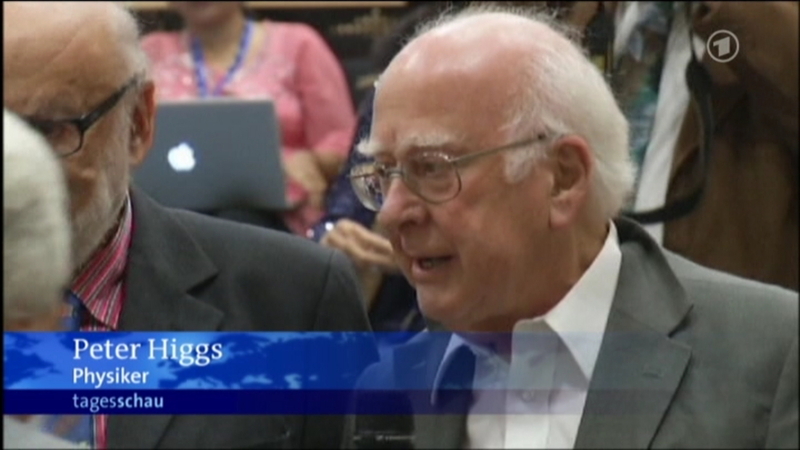 Unlike some past announcements centered on the Higgs in the past few years, which have produced as much ambiguity and confusion as anything else, this one did not disappoint. ATLAS physicists said that their most recent data reveal the presence of an unknown particle with a mass of about 126.5 GeV, or 126.5 billion electron-volts. An electron-volt is a physicist’s unit of mass or energy; for comparison, the proton has a mass of about 1 GeV. The CMS collaboration found evidence for a new particle with a mass of 125.3 GeV. Crucially, both teams' findings appear exceptionally robust. In physics terms, evidence for a new particle requires a “3-sigma” measurement, corresponding to a 1-in-740 chance that a random fluke could explain the observations, and a claim of discovery requires a 5-sigma effect, or a 1-in–3.5 million shot that the observations are due to chance. In December representatives of the two experiments had announced what one called “intriguing, tantalizing hints” of something brewing in the collider data. But those hints fell short of the 3-sigma level. The new ATLAS finding met not just that level of significance but cleared the gold standard 5-sigma threshold, and CMS very nearly did as well, with a 4.9-sigma finding. " Above: One possible signature of a Higgs boson from a simulated proton–proton collision. It decays almost immediately into two jets of hadrons and two electrons, visible as lines. Hadrons are massive particles bearing the mass of, at least, two or more protons (or neutrons). 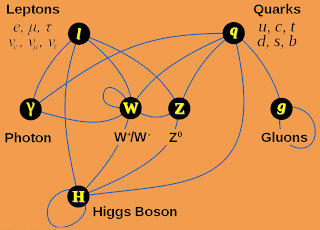 Above: Formation and decay of a Higgs boson. This time it's a decay into hadrons and leptons. If leptons are being represented by electrons, we have a situation like that predicted for the simulated process further above where two jets of hadrons and two electrons are being produced. Above: Another mechanism of formation for the Higgs particle in the Large Hadron Collider. From there it could be imagined that different patterns of decay might exist as well as can be studied in the simulation further above. 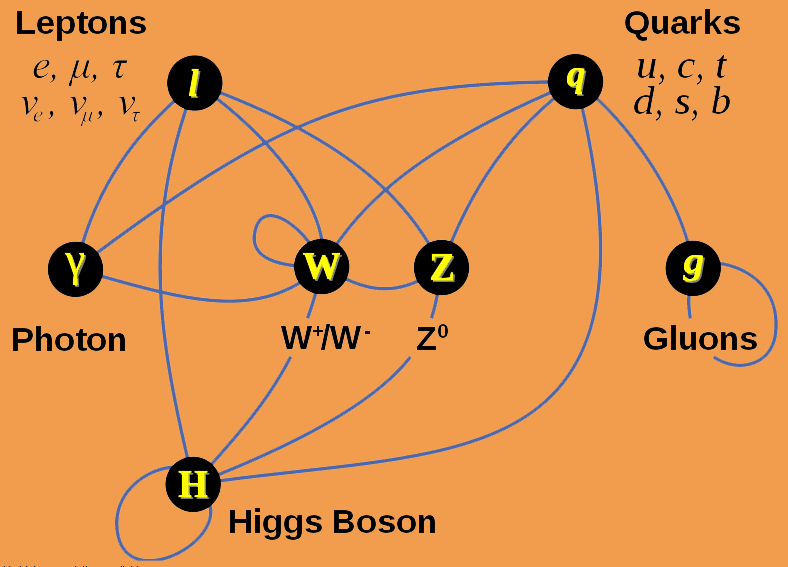 Above: Summary of interactions between particles described by the Standard Model. Leptons are particles with negligible mass like electrons. Quarks are considered to be the basic constituents of all elementary particles while gluons are either keeping protons and neutrons together in the nucleus of an atom or "glue" together those quarks that constitute more complicated structures like protons. The W and Z particles are massive bosons like the predicted Higgs boson itself while photons are massless "parcels of energy". A group of people is gathering on a cocktail party, no one knowing each other. At first, those persons are rather regularly distributed until a well-known celebrity appears that attracts the interest of everybody. People are now approaching that celebrity who finds it more and more difficult to move because of a growing cluster of persons in his/her reach. A similar effect would have been reached if the celebrity's inert mass was growing without other people surrounding him or her. An increase or transference of mass would therefore take place whenever a certain particle or person with a special ability to attract or transfer mass appears in a defined environment of other particles or persons. Same thing would happen if only a "massless rumour" enters into a cocktail party environment. People would cluster in order to hear what it's all about and thereby create a ball of mass. Such could be the mechanism predicted for the interaction of elementary particles with the Higgs boson. While speaking about the importance of Higgs particles in the formation of "real" matter that everybody is attached to in daily life, it needs to be mentioned that only 5% of all matter present in the universe really belong to that kind of matter. Further 20% of all matter are being represented by so-called dark matter we don't know much about. Moreover, the remaining 75% of all matter in the universe can be considered as the mass equivalent of a so-called dark energy which makes up for another field of future research. 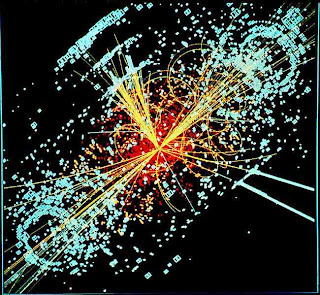 As mass media are usually inclined to overestimate the importance of a single discovery on the way to greater understanding of our universe, the word of a "God Particle" has been associated with the Higgs boson. It should be made clear that "God" doesn't appear in the vocabulary of modern physics. 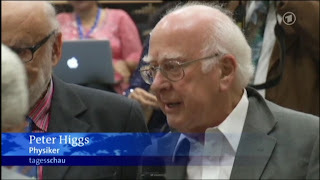 Peter Higgs is an atheist, and is displeased that the Higgs particle is nicknamed the "God particle", because that term "might offend people who are religious" [Higgs in an interview with New Scientists, 2008]. 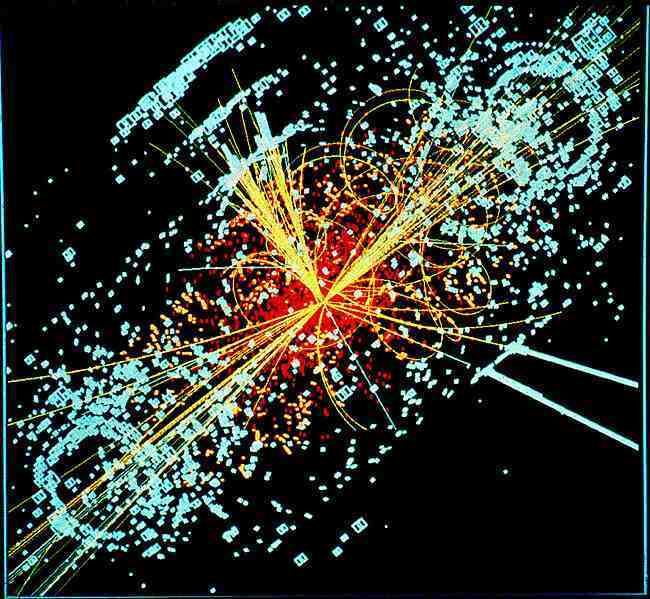 The "God Particle" originally is a "Goddamned Particle" which is a quotation from Peter Higgins referring to the long time it took to approach the particle's existence. the capacity of mathematical prediction. On July 10, 2012, China Daily, Beijing, published an article titled "Chinese link in missing-link breakthrough". In that article they are telling us that Chinese physicists have been contributing to one of the most ambitious scientific experiments ever attempted - a search for the missing link [i.e. the Higgs boson] at the beginning of the universe. There are quotations from Chen Guoming, one of 30 Chinese scientists who represented the Institute of High Energy Physics at the Chinese Academy of Sciences during the experiments at the Large Hadron Collider facility in Geneva. Chen was one of 3,000 scientists from 175 universities or research institutions in 38 countries and regions who have spent several years at the Large Hadron Collider site of CERN. been compiled by Dr. rer.nat. Wolfgang Wiesner. 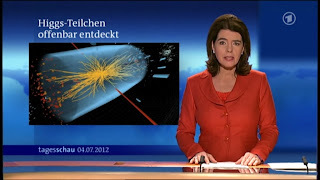 "Massive elementary particles colliding over the issue [i.e. Syria]". For more than one year, the above blogspot on elementary physics has been visited by lots of professionals who came from different parts of the world. This blogspot even became one of the most popular items of my news blog. Among many remarkable visitors or institutions the following example should serve as a proof for that.